Festival style isn’t just for Coachella-goers. 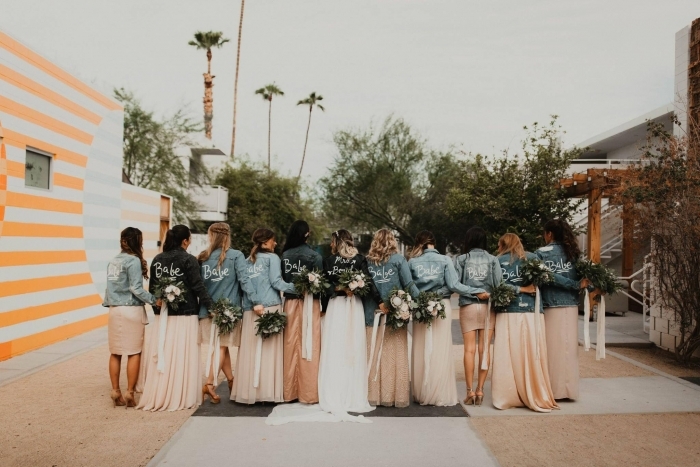 Brides can rock fringed attire, floral crowns and painted jackets too! 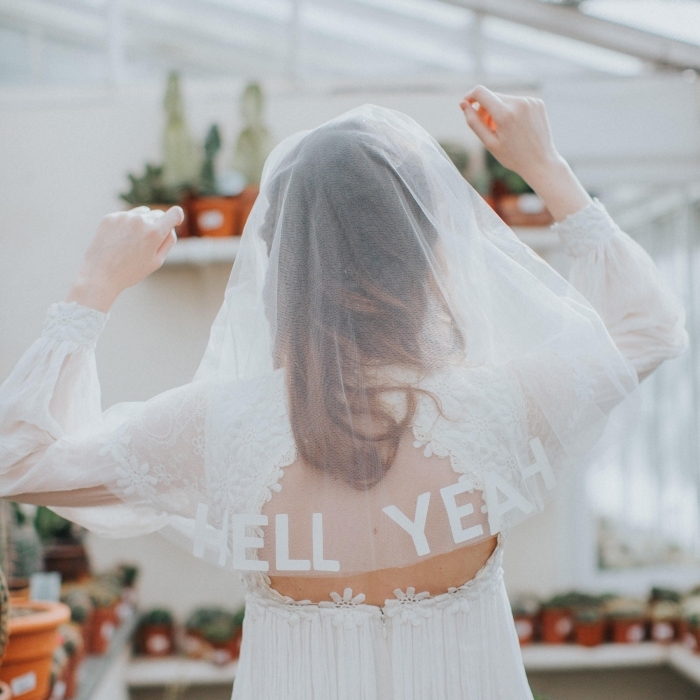 While a pop-up wedding in the middle of the desert is the perfect occasion for an all-out festival look, festival bridal pieces can be incorporated into any wedding, from simple civil ceremonies to charming backyard nuptials. 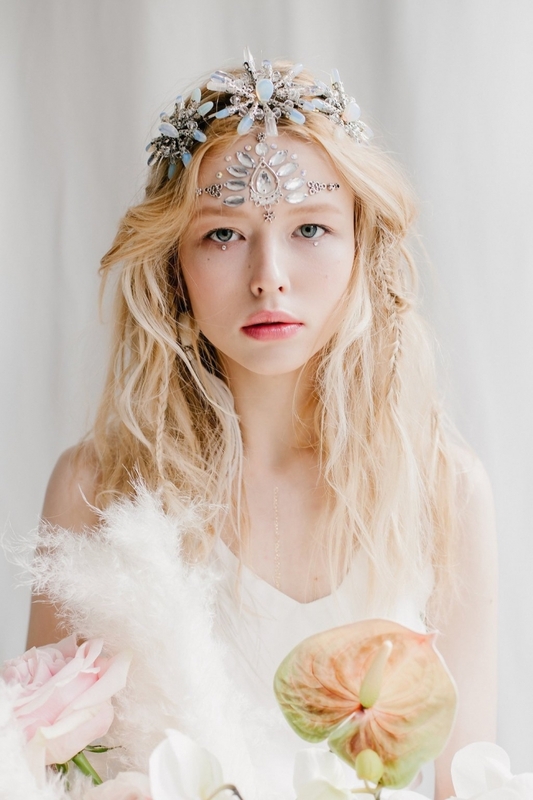 Make a statement with this enchanting crystal crown from beretkah. 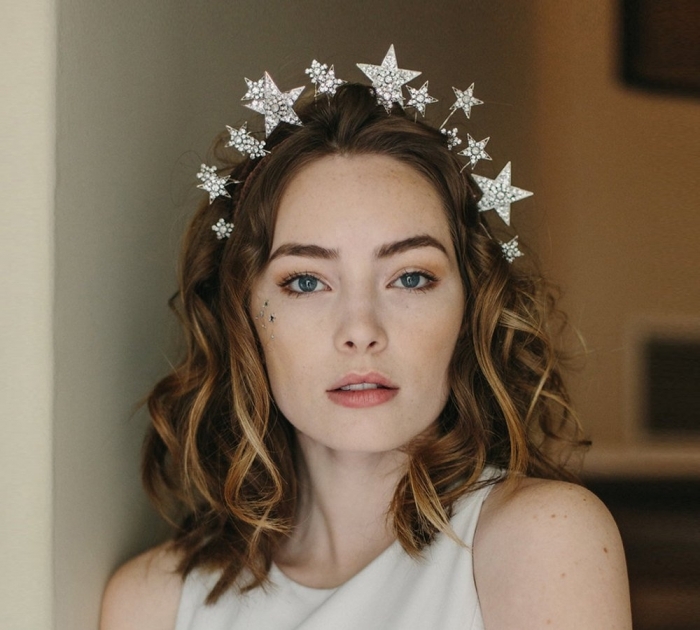 Leave everyone starry-eyed with this celestial bridal crown from EricaElizabethDesign. 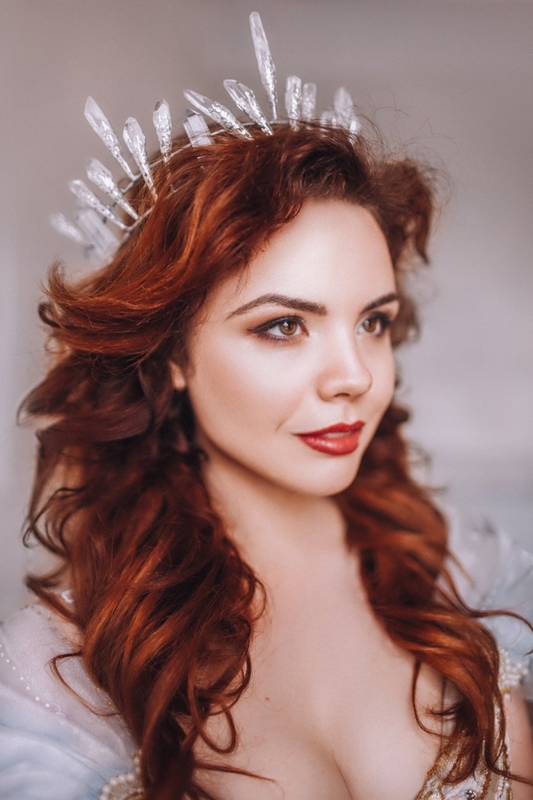 It’s crystal clear that this bridal crown from foxystudioshop would look amazing on a boho bride. Talk about flower power! 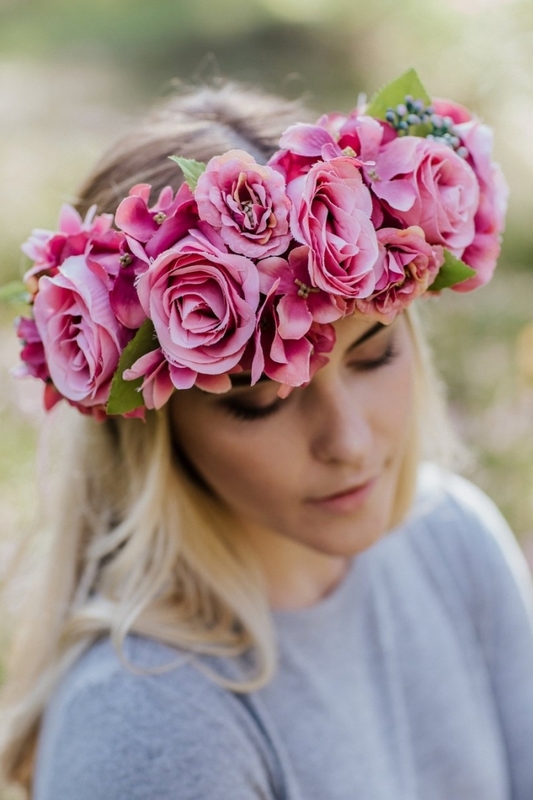 This pink flower crown from LaCrown is all kinds of gorgeous. 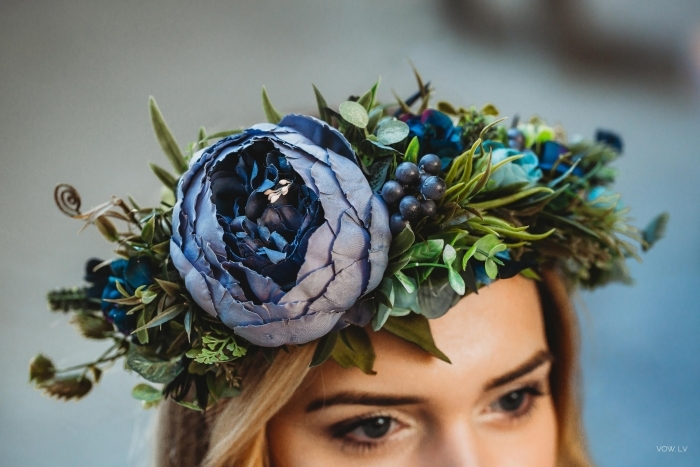 Check your something blue off the list with this fabulous blue flower crown from LaCrown. 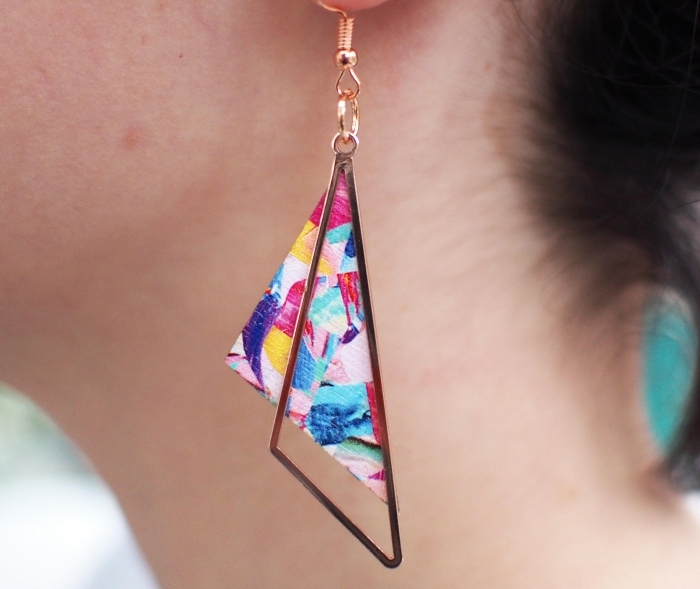 A little bit funky and a whole lot fabulous, these geometric rose gold earrings from MelodyGDesign are a must-have. 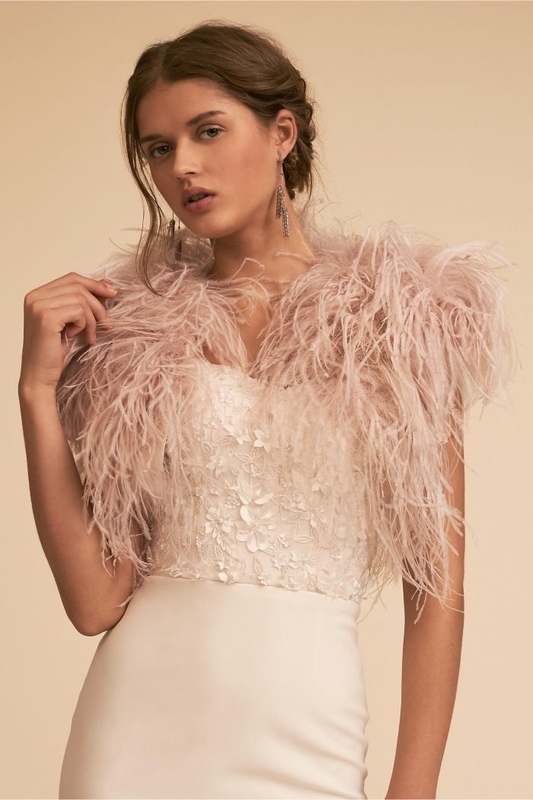 Wow everyone with this fabulous blush bridal shrug by Ivy & Aster. At under $100, this metallic fringe jacket from Missguided is an absolute steal! 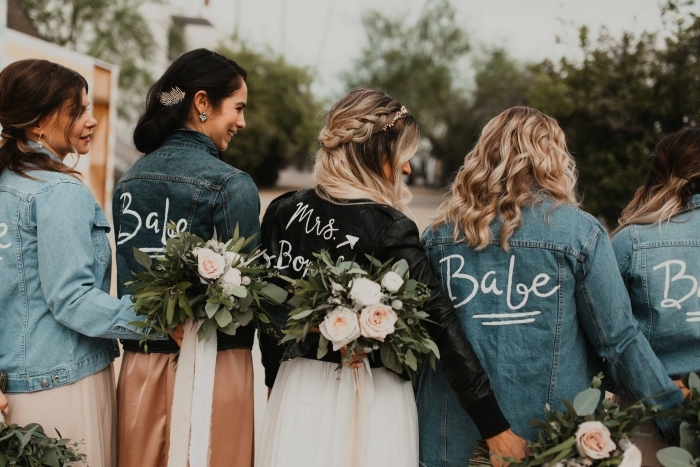 You and your bridal party will look très chic in these hand painted denim jackets from WildRoseShopNY. 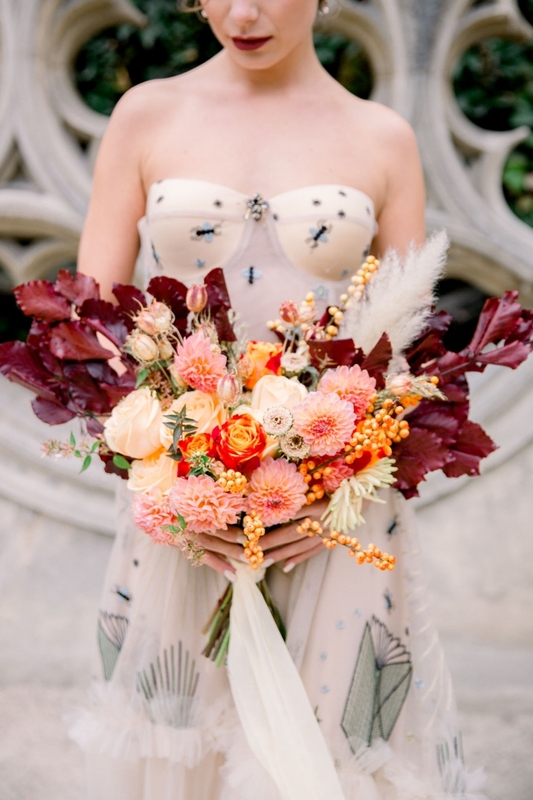 This beauty from WowBridalDress is just as much a piece of art as it is a wedding dress. We love the funky embroidery; books, ants, leaves… so avant-garde!